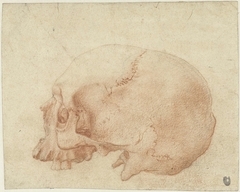 7,433 Artworks have been viewed 7,433 times. 4 Artworks have been added to favourites 4 times. Alessandro Allori (Florence, 31 May 1535 – 22 September 1607) was an Italian portrait painter of the late Mannerist Florentine school. was one of the most prolific and active painters in late sixteenth-century Florence. 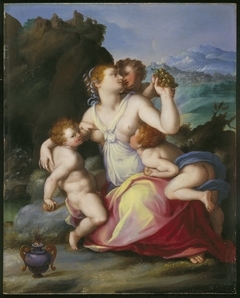 His father, a sword maker, died when Allori was five, and the painter Agnolo Bronzino was made guardian of the family. 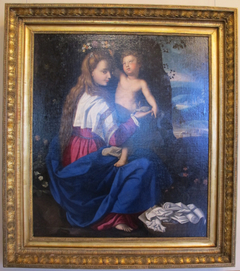 Allori incorporated Bronzino's name into his own, as seen in the inscription on one of his paintings: Alexander Alorius Angeli Bronzini Alumnus Faciebat A D MDLXX (Allessandro Allori, foster-son of Agnolo Bronzino, made [this] in the year 1552). 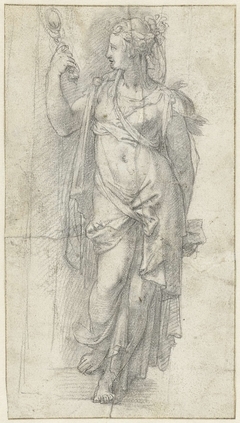 After a short sojourn in Rome, where he was influenced by Michelangelo's art, Allori returned to his native Florence. 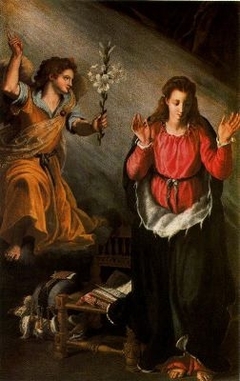 There he became one of the principal painters for the ruling family of Florence, the Medici. 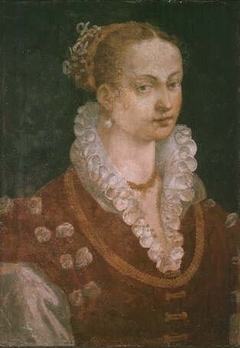 Allori was appointed director of the Florentine tapestry factory in the mid-1570s. His work, which displays the complicated twisting poses typical of Florentine Mannerism, influenced artistic developments in Tuscany for almost fifty years following his death.